For all but the most sceptical of commentators, the evidence was clear. During the tyrannous rule of the Pol Pot regime, members of the ethnic Cham and Vietnamese communities in Cambodia suffered terribly as the result of deliberate policies of the government. Indeed, the death toll among the Cham, Cambodia’s Islamic minority, appears to have been of a higher order than was the case for the population at large. The sprouting of more than 50 high-rise buildings in the capital and the evident presence of great prosperity among the elite cannot blot out the past. The instant commentary that has followed the verdict has drawn attention to the glacial pace at which the ECCC has moved to bring down its verdict in this and previous cases ­– both of the accused had already been convicted of crimes against humanity. Since the inauguration of the tribunal in 2006 ­– the date judges were sworn in – only three persons have been convicted: Duch, who was in charge of S-21, the Tuol Sleng Extermination Centre, and Nuon Chea and Khieu Samphan. Two other defendants died while in custody. A key issue is what happens now. Will the tribunal continue to function and bring other individuals to trial? Both before the establishment of the tribunal and since it began functioning, Cambodia’s long-serving prime minister, Hun Sen, has made clear his opposition to its existence. Calling on his compatriots to “dig a hole and bury the past”, Hun Sen has vigorously argued that raking over past history risks plunging the country into war. One does not have to take his words literally, but it is clear that he would prefer that contemporary Cambodia does not spend time looking at a past that has a present reality in the fact that he, and many other senior figures in government and the administration, were once members of the Khmer Rouge before they defected to Vietnam. 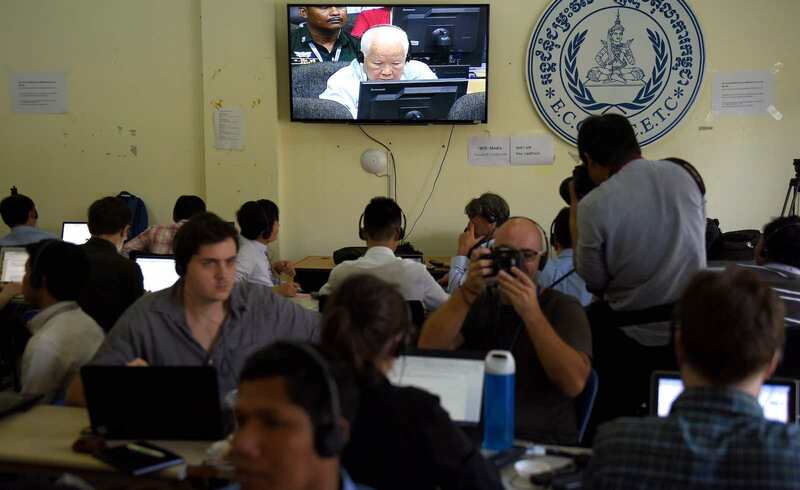 A contrary view, one that takes account of the many criticisms that may be levelled at the tribunal, is that held by Youk Chhang, the executive director of the Documentation Centre of Cambodia and a recent recipient of a Ramon Magsaysay Award. In Youk Chhang’s view, the tribunal has played a vital part in bringing the reality of the Khmer Rouge period and its many crimes to the attention of the Cambodian population, the majority of whom were born after Pol Pot and his associates were ousted in January 1979. In addition, Youk Chhang believes that for those, like himself, who lived through that period the tribunal is an affirmation of how terrible and criminal the actions of the regime were. I am not a disinterested party, having lost several close personal friends as a result of Khmer Rouge killings. Yet it seems to me as I make my annual visit to the country that the past still hangs heavily over Cambodia, despite its booming capital and the recent tick of approval it has received from the International Monetary Fund. The sprouting of more than 50 high-rise buildings in the capital and the evident presence of great prosperity among the elite cannot blot out the past, no matter how much Hun Sen would prefer that this should happen. In this regard, I share Youk Chhang’s view that, all things considered, the Khmer Rouge tribunal has played a useful if limited role. But I am far from sure that the tribunal and its limited number of judgements are enough. A country that is still to come to terms with its past is a country that will never be fully at ease with itself.